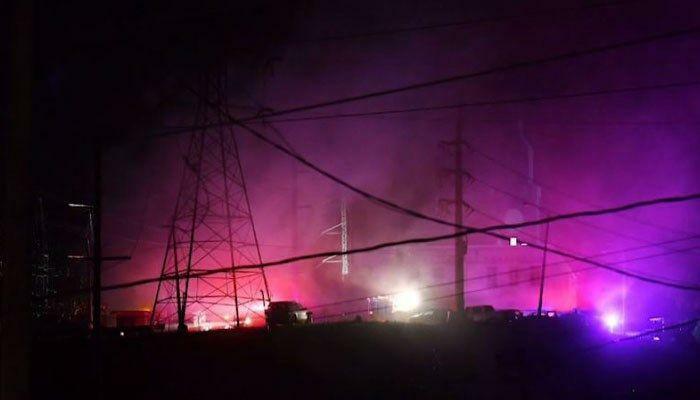 Last night, an explosion at a San Juan power plant regressed Puerto Rico’s efforts to restore power to the island five months after Hurricane Maria struck a massive blow. Much of Northern Puerto Rico has suffered another blackout, including the capital city. Before this explosion, more than a million people were still without power from the Category 4 hurricane that struck the island on Sept. 20, 2017. They’ve been thrown back in time by a hundred years, with no power, no running water, and damaged homes. This is a prime example of how disasters aren’t just one-time occurrences. They’re very often followed by subsequent disasters. Think about it. Fires are often followed by floods which are followed by mudslides and sinkholes. (See California for reference.) The tsunami in Japan was followed by a nuclear plant disaster. Hurricane Harvey in Texas had storm surges and floods that caused a chemical plant to explode a few days later. Now, this already-stressed infrastructure has crumbled again under it’s increasing demand. Power has been restored to a few critical locations. This is one situation in which living in a more populated area can benefit you. After last night’s explosion, workers were quick to restore power to specific locations. As well, after Hurricane Maria, the first areas to resume some form of normalcy were the ones with higher population. San Juan saw it’s power restored immediately but people in more remote areas are still waiting. And not just a few people. Vox estimated that 1.36 million Americans are still without electricity. You’ll see other numbers that say 400,000, but that is counting households, not individuals. …When an electrical circuit is open or broken, the power doesn’t flow, whether that’s a flashlight or a phone. It’s a simple concept, but when it happens in the electricity grid — what engineers say is the largest, most complex machine ever built — it quickly becomes a byzantine problem. With thousands of miles of transmission lines, gigawatts of generation, computers that route power, frequency regulators, and transformers that all serve the constantly fluctuating needs of millions of people, lots of things can go wrong. Generators can shut down. Transformers can explode. Power demand and supply can fall out of balance. By far the most common cause of blackouts is damage to power lines, which are the most vulnerable part of the electrical grid to storms. But even before Hurricane Maria made landfall, things with the infrastructure were dire. Even before the hurricane devastated the island, the infrastructure was in terrible shape, a fact underlined by last night’s explosion. Before Maria made landfall, I wrote an article that predicted a long haul to get power restored. Many people thought it was a ridiculous premise and that power would be up and running within a couple of weeks. But it turns out, that was cognitive dissonance. This situation is all the proof you need to see that things can change overnight. Go watch this video to see what everyday life is like in Puerto Rico for nearly half a million people. Do you think things will ever be the same in Puerto Rico? Have the residents of the island been permanently thrown back into Third World status? Will the power ever be fully restored? And considering they’re Americans too, isn’t it rather embarrassing that we aren’t doing more to aid in the recovery?